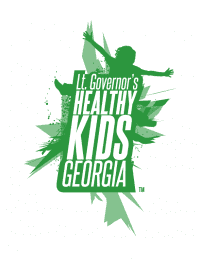 Join the Lieutenant Governor and special guests for our 8th Annual Be Healthy Georgia Festival held in conjunction with the Publix Georgia Marathon & Half Marathon. This FREE family event at Pemberton Place kicks off with Atlanta Track Club's One Mile Fun Run and 50m Dash followed by more fun and games! There will be monetary prizes for the schools or groups with the most participants, so bring all your friends for this day of fun! Following the run, a DJ will keep the beat alive at the Be Healthy Georgia Fit Zone and families can interact with all types of sport activities with give-a-ways as well as chances to win other prizes donated by the event's partners! Providing we have not reached race capacity, we will offer registration for this event on race day. Deadline to Register: 9:15 a.m. The one mile route starts on Baker St next to Pemberton Place, circles all the way around Centennial Olympic Park, Turns towards the Georgia Aquarium, and then finishes back near the start. For the safety and enjoyment of all participants, no pets or wheeled conveyances of any kind, including baby joggers/strollers, roller/inline skates, and bicycles are permitted on the course. Race day registration, number pick-up, warm-ups and the Be Healthy Georgia Expo will take place in Pemberton Place next to the World of Coca-Cola and Georgia Aquarium. Free Prizes and MUCH more! We encourage all participants to take MARTA on race morning to avoid traffic delays due to race related street closures. CLICK HERE for more information on taking MARTA to the event. Twenty-three MARTA rail stations that have free daily parking. * Remember the MARTA station or parking deck where you parked. ** Wherever you park, lock all personal items and valuables. Go to www.itsmarta.com for station locations and regular Sunday schedules. A limited number of bus parking is available upon request. Please email request to [email protected]. To book convenient and affordable guaranteed parking for the event, we recommend using SpotHero, the nation’s leading parking reservation app. To reserve your parking spot today, visit the Publix Georgia Marathon SpotHero Parking Page and book a spot with rates up to 50% off drive-up. Click here for other parking options in downtown Atlanta. Organizations wishing to exhibit at the event should contact Roy Neill at [email protected]. Brought to you by Atlanta Track Club, is a flexible, incentive-based running program designed to get children in the community active. Dedicated to inspiring youth to achieve health and fitness, this program empowers children with the knowledge they need to make smart lifestyle choides. Whether you are a teacher looking to start an afterschool program, or a parent who wants to run with their child in the neighborhood, the 11-week program is a great way to engage children, ages 7 to 14, in the sport of running. For more information, visit www.kilometerkids.org or contact Josh Deaton at [email protected] (404-231-9064 x125).